The Polish Sociological Association (Polskie Towarzystwo Socjologiczne - PTS) was established in 1957, yet in Poland, there was also another active Sociological Association established in 1931. We often recall its tradition disrupted by the Second World War. The Polish Sociological Association is a professional association of academic sociologists but we welcome everyone interested in sociology and willing to maintain contact with sociological debates. The association has 14 regional departments located in all Polish academic cities. Within the framework of the PTS, we have also 25 thematic sections focusing on sociological sub-disciplines. Our office is located in Warsaw in the historical Staszic’s Palace, where for 200 years various academic institutions have had their premises. The Polish Sociological Association organises its congress triennially. The last, 16th Polish Sociological Congress was held in Gdańsk in 2016. Now we are working on the organisation of the 17th Congress, which is going to be held in Wrocław in 2019. The theme of the next Congress will be “Me, Us, Them? Subjectivity, Identity, Belonging”. Our congresses are one of the largest academic events in Poland, which gather app. 1.500 participants. They are truly a feast of sociology in Poland. In 2017 the regional departments and sections of our association organised altogether 147 events. These have various forms: academic conferences, author-meets-critics events, panel discussions, and less formal debates outside the academic venues. Some of them were of a cosy character bringing together a dozen of people, while others were large conferences for more than a hundred participants. We continuously experiment with formats of meetings and we often invite guests from the outside of sociology. Many of the events were co-organised with academic institutions and other entities. We see our role in bridge-building between various individual and organisational actors. The Polish Sociological Association is the publisher of the quarterly Polish Sociological Review. The journal publishes sociological articles in English and it is indexed in the Web of Science. The Polish Sociological Review focuses mostly on Central and Eastern Europe but is open for submissions in all areas of sociological inquiry. The PTS also distributes the bibliographic index of sociological publications printed in Poland or regarding Polish society. The Polish Sociological Association supports publication of books. Mostly we subsidise collected volumes which are outcomes of Sociological Congresses. We are also active in applying for grants to support publications by our members. On a yearly basis, the PTS awards three prizes, which are very prestigious among Polish sociologists. The Florian Znaniecki prize is an award for the best MA thesis in sociology. The majority of the past prize-winners currently pursue successful academic careers in the field of sociology. The Stanisław Ossowski prize is awarded for the best book published by an author under the age of 35. We also award the translations of sociological works (either from Polish into other languages or from other languages into Polish). Some of the PTS sections also award prizes for publications in their fields of research. We mostly address our communication to the general community of people interested in social sciences and we do not limit it only to our members. Our association runs the website pts.org.pl, where as well as information on our association we publish news about our actions and events organised by the PTS. Our fan page on Facebook has more than 2.000 followers. We are managing this fan page and are very actively informing its followers (a broader audience than just the members of the association) about all events, conferences, publications and grant competitions which are interesting to sociologists. Some of our departments and sections run their own Facebook fan pages and Twitter accounts. The Warsaw Department recently started experimenting with a Youtube channel, where we publish video podcasts of its selected events. We also have forms of communication exclusively targeting our members: e-mail announcements, a newsletter distributed by e-mail, and a bibliographic index. social protests against the judicatory reform (2017-07-24). In the course of the public debate concerning the reform of science and higher education in Poland, our association was commissioned by the Bureau of Research of Polish Parliament to prepare an expertise regarding the project of the new Act on Higher Education and Science. It was a detailed ex-ante evaluation of the proposed new legislation. 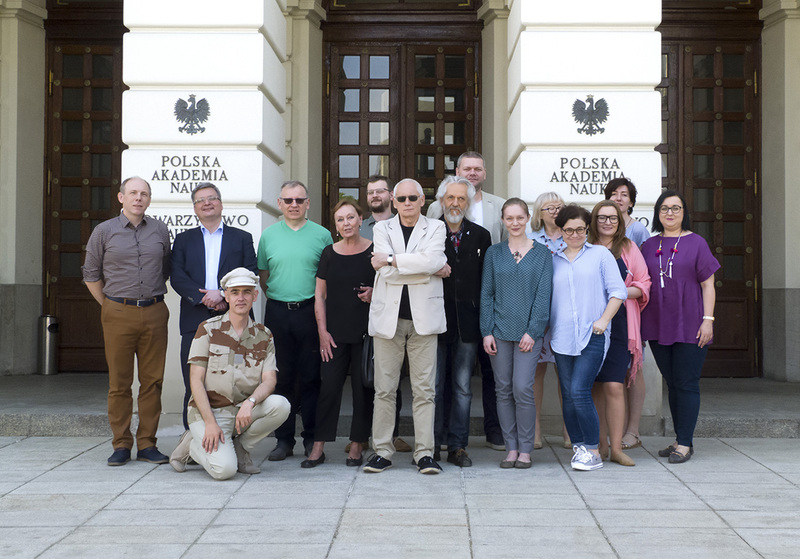 The general challenge for the Polish Sociological Association is connected with the situation of sociology in Poland. After an increase in the 1990s and 2000s, the popularity of sociological studies in Poland is now decreasing. Quite often in public debate, the legitimacy of sociology is undermined. Many of our actions aim at sustaining the position of sociology in Polish society. We believe that more active and critical but well-reasoned engagement by our association in public debates will be positive both for our society and for the public image of sociology. Another objective of our actions is the maintenance of our journal Polish Sociological Review. The scientific excellence of the journal is increasing but all the time we are searching for financial resources to publish it independently.